Stop calling decentralization of the Internet "balkanization." 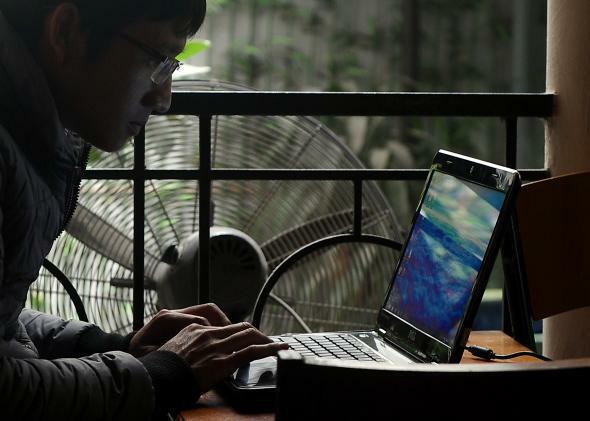 A man uses a laptop at a coffee shop in downtown Hanoi. It’s the end of the Internet. That was the headline of the prominent Swiss newspaper NZZ on Feb. 9. And Tim Berners-Lee, the creator of the World Wide Web, recently called for a re-decentralization, declaring, “I want a Web that’s open, works internationally, works as well as possible, and is not nation-based.” These are the latest voices in the growing chorus over the “balkanization” of the Internet and the emergence of “splinternets”—networks that are walled off from the rest of the Web. This is an important debate, one that will affect the future of the Internet. And with a major global conference on this topic taking place in Brazil in April and the World Summit on the Information Society +10 scheduled for 2015, it is high time to bring more clarity and nuance to it. Unfortunately, the term balkanization itself creates problems. Depending on whom you ask, balkanization can be a positive or negative process. For some, the term represents a move toward freedom from oppression. For others, it is a reminder of centuries of bloody struggle to hold together a region that ultimately ended in violent fragmentation, which makes use of the word offensive to some. Fragmentation of the Internet is the term we’ll use, but maybe a creative mind somewhere will find a better, more evocative way to describe it. The question is: What does fragmentation mean, exactly? Is it the end of the Internet if domain names can no longer only be written using the Roman alphabet? If so, the Internet ended in 2009, when ICANN approved alternative alphabet domain names. Is it fragmentation if people around the world using Weibo and Yandex in lieu of Google and Twitter? Or is it data localization and national routing – subjecting data transfers to national boundaries? This debate is a lot more complex than most headlines suggest. The Internet is more than Facebook and it is more than the Web itself—more than the content people access every day. However, popular discussion tends to lump these various dimensions together. It obscures the fragmentation efforts that truly undermine the openness and interoperability of the network. Today only one-third of the world’s population has access to the Internet, and, of course, the languages of this one-third dominate online. As more people gain access to the network, other languages will join in. But this is not the fragmentation of the Internet—it’s diversity through continued expansion. It’s leading to a richer representation of mankind, something to be cherished and encouraged. Moreover, it offers new possibilities to preserve some of that diversity: Enduring Voice, a joint project between the National Geographic Society and Living Tongues Institute for Endangered Languages, uses the Internet to preserve rare languages including this interactive website. The base of the hourglass is the physical layer, the undersea cables and hardware that form the underlying tangible infrastructure of the Internet. The hourglass’s narrow middle is the protocol layer, which constitutes the “ways for data to flow,” with the Internet Protocol, the heart of it, being at the center of the hourglass. Built on top of these protocols is the application layer, the “tasks people might want to perform on the network,” such as Berners-Lee’s development of HTTP and the World Wide Web, an application used by hundreds of millions every day to day. Zittrain also mentions the content layer, where “actual information [is] exchanged among the network’s users,” and the social layer where “new behaviors and interactions among people” take place through the Internet. To determine whether the Internet is becoming more or less fragmented, the first question is: What piece of the infrastructure, what layer, are we talking about? And what kind of fragmentation? Looking at the physical layer, the Iranian government’s effort to create a National Information Network is among the biggest attempts to create a splinternet. If the focus is on the application layer, fragmentation takes on a different dimension including questions of competition and “commercial sovereignty,” to use the words of Rebecca MacKinnon, who directs the Ranking Digital Rights project at the New America Foundation. (Future Tense is a partnership of Slate, New America, and Arizona State University.) And if it involves systematic efforts to limit access to content through government censorship, the latter creates fragmentation and people in different locations having access to different data. When we’re talking about everything from the Internet’s content to its infrastructure, the stakes are incredibly high. That’s why we need to take the debate to this next level: to move from the alarmist “Balkanization” to a more detailed analysis of fragmentation and diversity. That way, we can minimize risks to the Internet and maximize its value. *Correction, Feb. 20, 2014: This blog post originally suggested that Harvard professor Jonathan Zittrain created the “hourglass model” of the Internet. He did not create the model, but his book helped popularize it. Correction, Feb. 24, 2014: An earlier version of this post carried a correction suggesting that Tim Berners-Lee was not the creator of HTML. He created both HTML and HTTP.